Special Frequency-hopping Function, The secret call of the military high-level. It will changes the frequency continious to Keep your conversation Un-breakable! Dual band Dual display and dual standby. All calls, group calls and selective calls. Inspection, monitor, stun, kill and emergency alarm. 1800 mAh battery, Standby for over 3 days! Have Photos but dont have a clue on how to post photos on this forum ? They have been around for a while & are not legal to use in the UK. Unless you have a spread of spectrum that makes them usable. They breech amateur radio licence conditions & no PMR operators have sufficient channels available. I remember reading some where that the "Software was optional" & that the web address given for Math Mark is not in existence. The post all date back weeks & no one has updated to say they work..Despite saying they would. Checks have been made with offcom who have confirmed - It Is NOT against the terms of amateur licences to use FHSS as long as you do not hop out of the Amateur frequency allocation, so these radios are NOT illegal in the UK . Ps i have Private messaged the users of the radio on Radio Reference, maybe one of them can tell me a bit more about them? 2E0AIV wrote: Checks have been made with offcom who have confirmed - It Is NOT against the terms of amateur licences to use FHSS as long as you do not hop out of the Amateur frequency allocation, so these radios are NOT illegal in the UK . How can this be so??? Has the requirement to give a callsign when you start operating on a frequency & before you leave it, as well as every 20 minutes in between been dropped ??? How can that be done if a radio is randomly jumping about the band?? I know that many of the morons who use the 2 meters do not operate in an acceptable manner now. But if a radio is designed in such a way that it cannot be operated within licensing conditions, then surely it has to be illegal to use. Or am I misunderstanding what this radio does. Also normal acceptable conduct is that operators ask if a frequency is clear before using it. So surely no one who chooses to operate in an acceptable manner would ever choose to use a radio that randomly hops around a set of pre programmed channels, would they?? If someone has chosen to use one of these. Then is there not a danger that one consequence is that other normally responsible operators will decide to return the favour after someone using one has jumped all over their QSO & thus damage the conduct on the band further?? What makes you think that these radios will jump all over other people? The frequency changing is in Milli-seconds, so much so that an analogue user would not even discern that they had been present on the frequency. As for using your callsign, certainly on digital your callsign is there for everyone to see on every transmission, but i have never heard a digital qso where the amateur does not give his callsign anyway at the start, every 15 mins and at the end of the transmission as per the licence conditions. However, 2m analogue and our city repeater is plagued with inconsiderate operators keying up the repeater and tx on 2m calling channel with illegal keyups (silent) or pipping up the repeater continually. In fact we have a silent keyer on our own repeater GB3NU (analogue) who never says anything but regularly keys the repeater? Why I dont know? Another annoying habit of amateurs is to continually give their callsign and everyone in the group after every over, instead of at beginning, 15 mins and end of transmission. But to return to your original concern, you would never know that a FHSS tx mission had taken place on a frequency that you were monitoring as they hop so fast that even a top range scanner could not hear the conversation. AS for procedures when using the radio, the operator would of course comply with giving his callsign, but it is not necessary to ask if the frequency is in use as no one will hear you before your radio within 10 milliseconds moved off to another frequency. FHSS is achieved by coding the radio the same as the receiving radio as both have to know what frequency to start on and where they are to hop to next, failure to do that would mean that they would not talk together. The military have been usinig FHSS for years on the HF vhf and uhf (including 70cms as that is their primary band, us being secondary users), but i guarantee that nobody has ever heard them or even knew that they were present. Once you understand the technology of how the radios work it all falls into place, hence why Offcom are saying it is ok.
Now I do like the idea of this radio I read this kind of frequency hopping is big with the military... have quick anyone ? For example say that I would like a set of these for my shop floor to give security at the door, management and general workers such as shelf stackers and customer service. Now i get these radios because I dont want my competitors or shoplifters or anyone eklse for that matter following my and my staffs full conversations but legally i could have a simple licence which are widely known the frequencies of or i could get a few frequencies from ofcom which also could be determined by anyone in the know. So all they need to do is put in all the simple light uk frequencies as i am sure most scanner owners have in as standard as they are so wide used (i know i do ha) and they would follow all conversations anyway. So the only way to use these in the uk securely would be to use any frequencies which are not nationwide or sepcific to any area? I think that they cannot be programmed to say 8 specific channels - they are quoted at 256 channel FHSS - so for sake of argument you could programme them to hop those 256 channels in say a couple of megahertz but as i understand them (and i may stand corrected) they would not function purely on 7 channels VHF. AS an example, the TriSquare eXRS FHSS radios are coded by putting in a 10 figure number - giving thousands of possible frequency starts and hops. So you see Alfie, you do not programme individual frequencies on a FHSS radio but rather a range of frequencies which is split up into 256 channels. 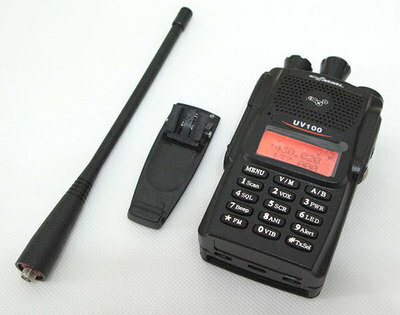 The pmr greneral or simple licence as it is now known, does not have enough frequencies to legally use with this type of radio as for example if you used it on the 7 vhf channels you would be illegally transmitting on 249 frequencies outside the terms of your pmr licence.......but, how would anyone know? chances of anyone twigging what was happening is minimum as i explained in the last post, that they hop in 100th's of milliseconds so no one would know you are there. As for the Amateur bands, because 2m is from 144 to 148mhz you can see that you have 4 megs of spread spectrum to play with and on 70cms its is 430 to 440mhz so you have even more to play with 10mhz. The RSGB Ltd Bandplan is only advisory (as OFFCM are the enforcement Govt licencing officials) and cannot be legally enforced, it has no grounding in law and is basically a gentlemans agreement, so you can transmit legally on your ham licence anywhere and any mode be it FM/SSB/GMSK/Digital voice/Mototrbo/FHSS or any other mode you wish to use, without breaching the terms of your licence. However, as stated in the case of FHSS nobody would know you had been there in the first place. FHSS has a more efficient use of a section of the band as you could have literally thousands of users sharing the same range of frequencies and never shall they meet as without the same code in each of the thousand users, they would never hear each other.